What is Sediment (Dirt, Rust, Sand) Filtration? Sediment Filtration is an effective method for reducing turbidity in water caused by the presence of suspended solids such as silt, sand or clay. Sediment Filters remove suspended matter such as sand, dirt, rust, loose scale, clay or organic material from the water. Untreated water passes through a filter medium which traps suspended matter. Sediment filters can remove insoluble (not dissolvable) or suspended iron and manganese. Drinking Water Treatment using Sediment Filtration is one option for a home owner to treat water problems. 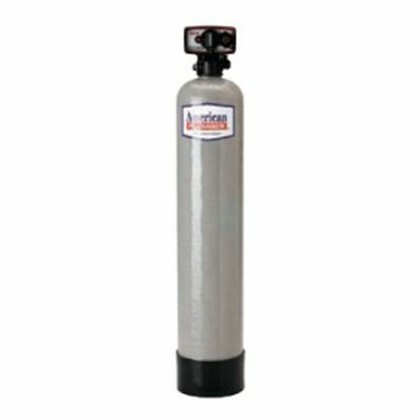 Sediment filters are often used with other processes such as activated carbon filtration, reverse osmosis, aeration, ozonation and chlorination. What problem does sediment cause? Selecting a sediment filtration unit should be based on water analysis and individual needs. When selecting a sediment filtration device, you should consider the flow rate, the filter material, the estimated amount of water it can effectively treat and the water quality desired (filter rating). Most filters are rated according to the smallest particle they can trap. For example, a 10 micron (10 thousandths of a millimeter) filter would trap contaminants 10 microns in diameter or larger. In general, the largest rating size that will remove the intended contaminants will require the least maintenance. Regular replacement of the filter/cartridge is an important factor in maintaining effectiveness and reducing bacterial contamination of the filter. Do I need POE or POU Sediment Filtration?